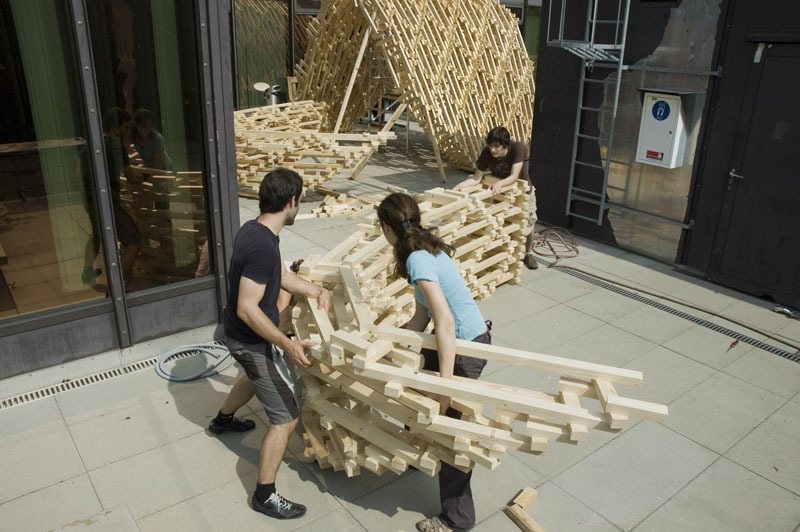 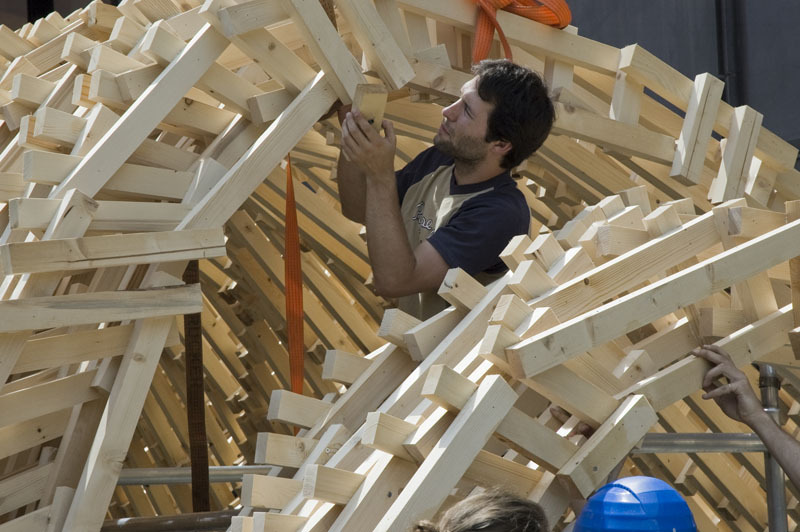 The findings of the course “The Sequential Structure 1” led to the development of a temporary installation in public space at the ETH Zurich within a 4 week workshop. 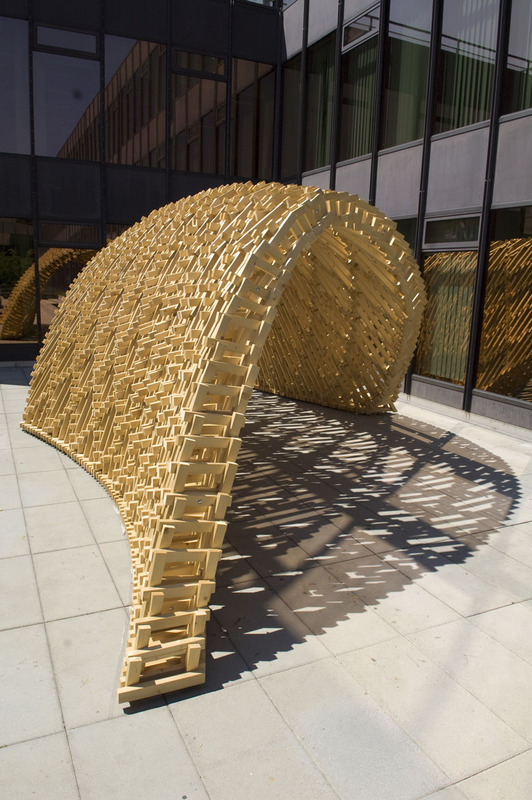 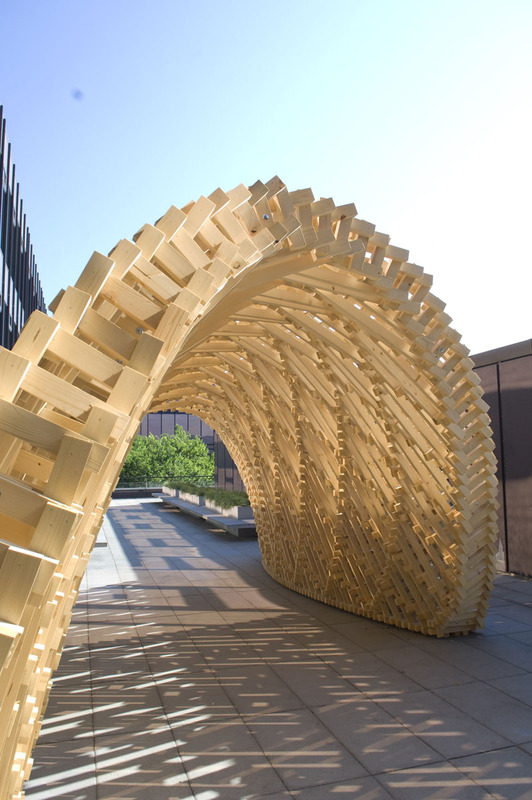 The students task included the design and fabrication of a timber pavilon to shade a sun exposed terrace. 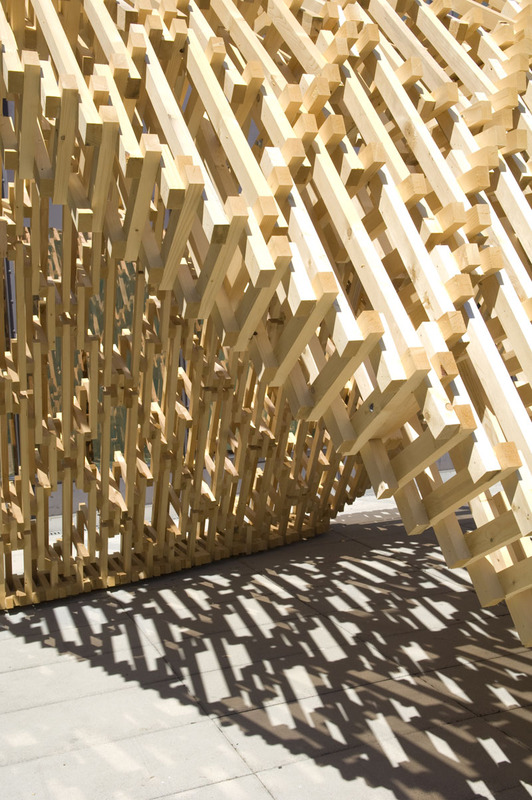 Studies of physical hanging chain models and their simultaneous simulation with digital tools provided the base for an iterative form finding process. 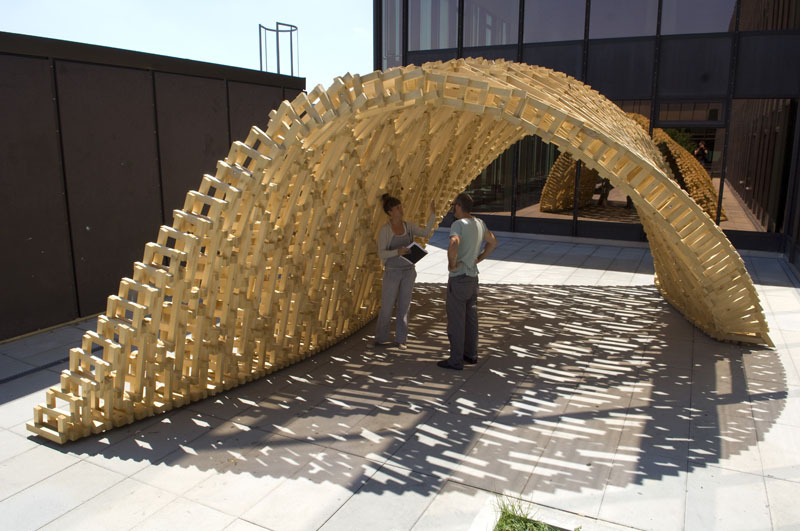 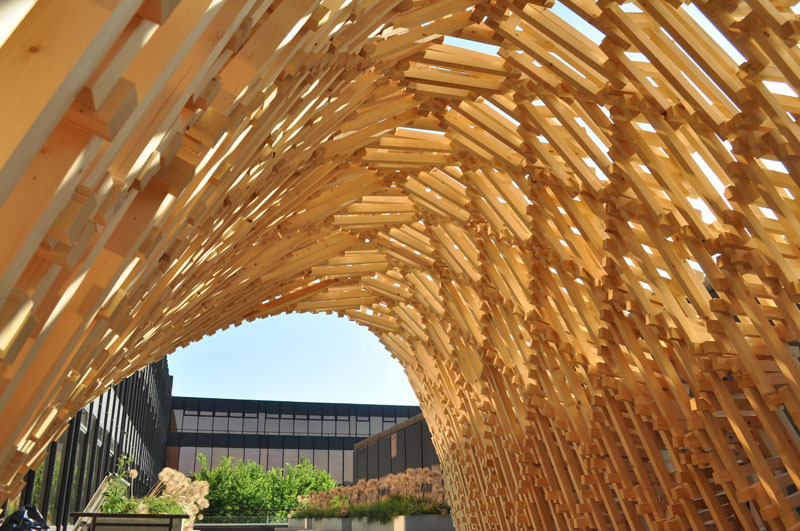 The structure consists of 26 individual elements, joined into 11 arches and mounted on site without any use of heavy machinery. 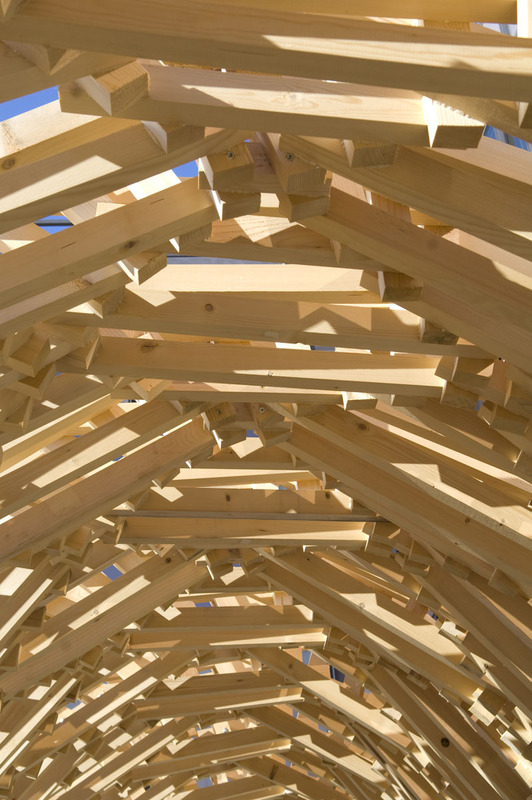 The layering of the slats in a diagonal grid allows for a multidirectional transfer of loads, thus supporting shell action of the structure. 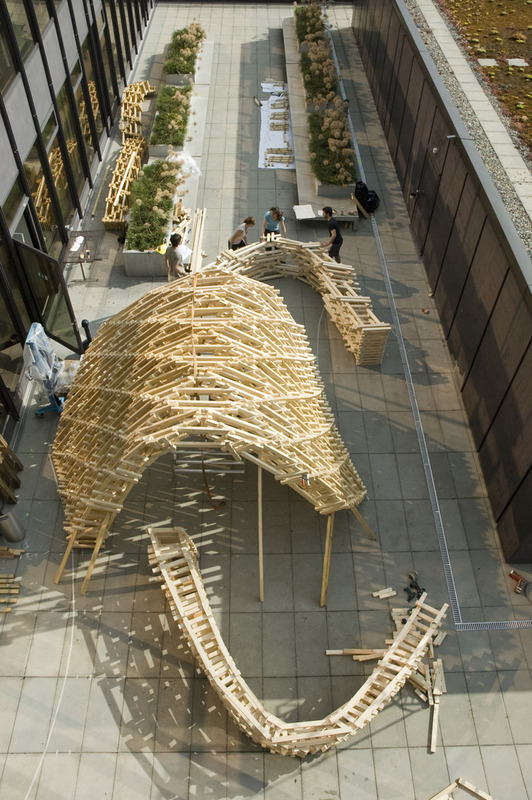 The parametric framework adapts to structural requirements with gradual change in effective depth. 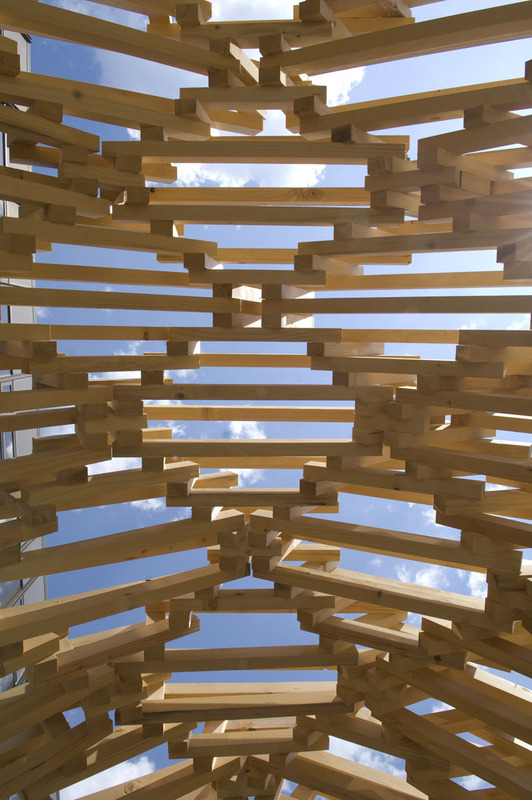 The additional rotation and variation of slat lengths is driven by local sun irradiation and allows for a specific control of the shadowing effect of the structure. 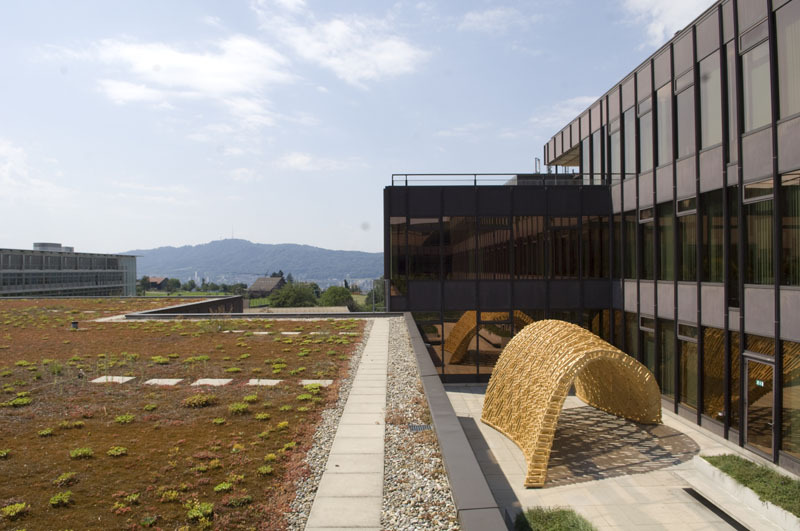 The project was conducted in collaboration with the BLOCK Research Group - Assistant chair of Building Structure Philippe Block.